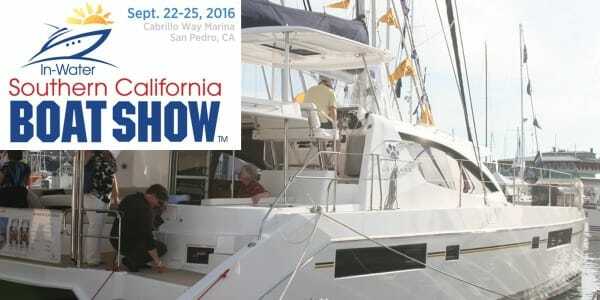 Premiering September 22nd-25th, the Southern California In-Water Boat Show is making a big splash at Cabrillo Way Marina in the heart of Los Angeles Harbor. Come aboard and compare a large selection of new boats, as well as some of the finest brokerage vessels on the Pacific Coast. Whether you’re a buyer, a seller or just evaluating the market, this is the premier boat show for a side-by-side comparison. 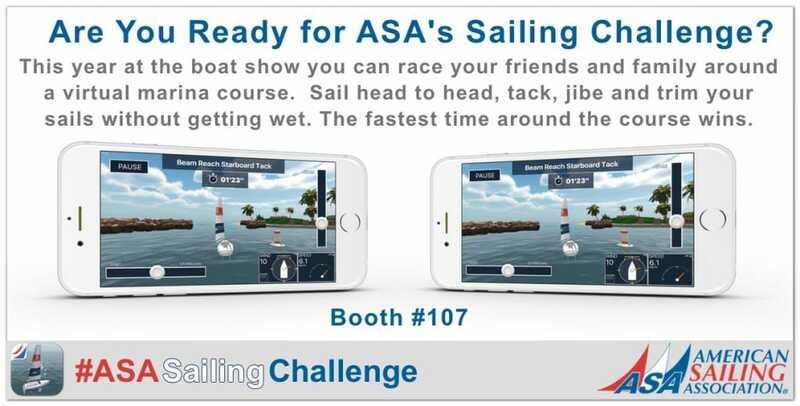 We are providing boat show visitors the ability to try our new mobile app called Sailing Challenge that lets you take control of the tiller in one hand and the mainsheet in the other, and sail off on a virtual sea of fun. With two large screen tvs we’ll be hosting head-to-head contests to see who will be the fastest virtual sailor around the Harbor Tour course – and there will be prizes for the winners! Download the app today and start practicing!! 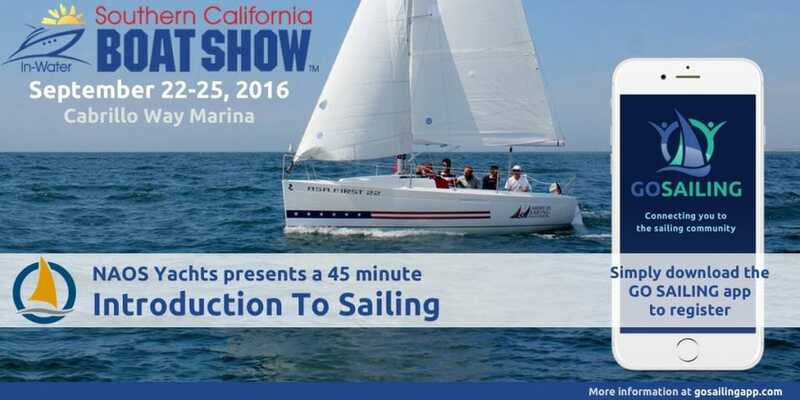 Bob is the GO SAILING Ambassador for the Los Angeles area. 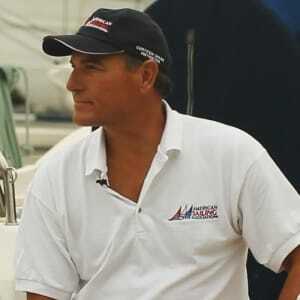 He will be there to explain how GO SAILING works whether you are a crew looking to sail, or a skipper looking for crew. 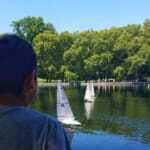 There are also opportunities to learn how your sailing club can use GO SAILING to increase participation and get more boats on the water. 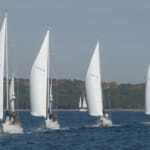 Local ASA sailing school NAOS Yachts will be hosting on-the-water introduction to sailing classes. 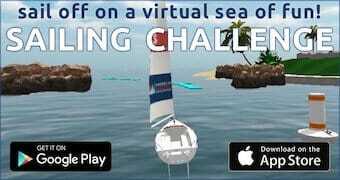 If you, your family, or friends would like a 45 minute introduction to sailing onboard an ASA First 22 sailboat with a certified ASA sailing instructor then you can sign up by using GO SAILING – simply download the app at gosailingapp.com, create a free account, and apply to be crew on one of the many Introduction to Sailing trips – everyone who signs up for a trip will get a free ticket to the boat show!. Do you still have classes in motor/speed boat training?